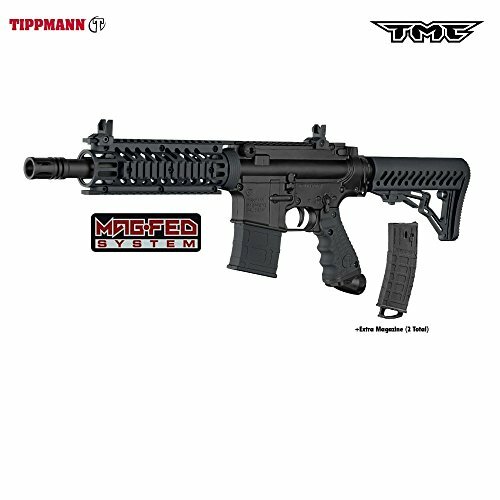 Custom sight rail for Tippmann 98 Custom. Give your gun a custom look, as well as a raised combination 3/8" Dovetail rail to mount most popular sights. Raised sight rail clears the power feed to eliminate obstructions and allows you to sight your target with greater speed. Notch grooved to allow sighting without an additional scope. Does not interfere with disassembly of gun. Installs in minutes with no modifications required. Mounts with 2 set screws (included). Machined and anodized aluminum. The Recover HC11 Passive Lock Holster is designed to hold any 1911 that uses the Recover CC3H grip and rail system. The holster allows for a natural draw, and is compatible with most pistol rail mounted accessories on the market, making it the last holster you will ever need to purchase. Features the Patent pending Frame Locking System with universal fit for railed accessories. Currently available for standard size 1911s that use a Recover CC3H grip and rail system. Available in Active or Passive Lock as well as right-hand or left-hand draw, and comes with a removable paddle that is compatible with other aftermarket accessories. The CC3H Grip and Rail System (not included) is the simplest way to add a rail to your 1911, easy installation - No gunsmith or permanent modifications required. Made from High-Grade Reinforced Polymer - Will not break or damage your gun and is a universal fit for most standard sized 1911 model pistols. 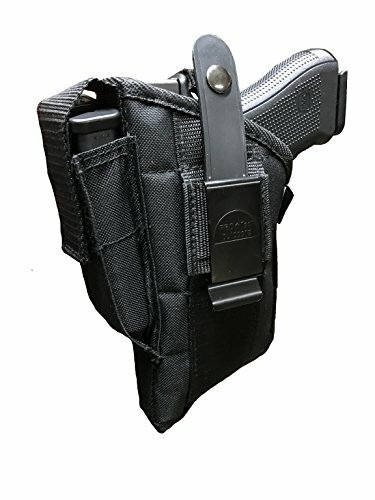 Holster FAQ What is the difference between Active and Passive Retention? 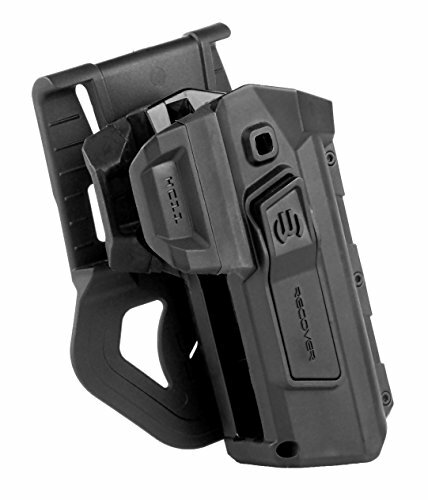 Active Retention requires the pressing of the button on the side of the holster to unlock the gun from the holster. 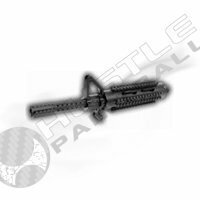 Passive Retention holds the gun in place and will allow you to draw the firearm simply by pulling with a little extra force. TASO custom sight rail for Tippmann 98 Custom. Give your gun a custom look, as well as a raised combination 3/8 inch Dovetail rail to mount most popular sights. Minimal height increase for a smaller profile. V-notch grooved to allow sighting without an additional scope. Does not interfere with disassembly of gun. Installs in minutes with no modifications required. Mounts with 4 set screws (included). Machined unanodized silver aluminum. Can be anodized to match your marker! 0.09 lbs. 4.5" long, 0.75" tall, 1.125" wide. 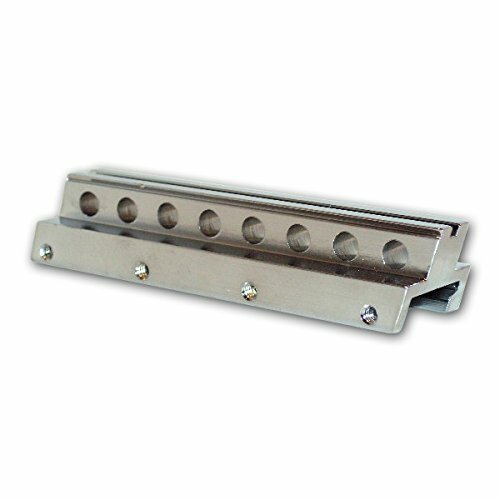 On some 98's, this sight rail will tighten the body thereby improving the recoil efficiency. 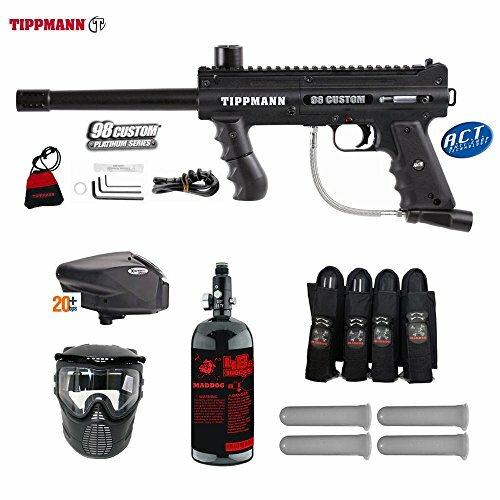 Unlock the potential of your Eclipse Etek5 or LV1 Paintball Marker with the EMC (Eclipse Modular Components) Gemini Kit! This lightweight free-floating rail mounting kit allows you to adapt your Eclipse Etek5 or LV1 to virtually any environment and play style. Quickly interchange 3rd party attachments* to make your own effective loadout. Along with built in 12 and 6 o'clock rails, the EMC Gemini Kit supports additional 9, 7 and 5 slot Picatinny rail sections* so you can attach anything from flashlights, red dot sights to vertical fore grips and stocks all to its tough Glass Reinforced Nylon (GRN) construction. The ingenious quick release mechanism allows instant access to the key components of your marker in seconds (no tools required) making it super easy to maintain bolt, eyes and detents. 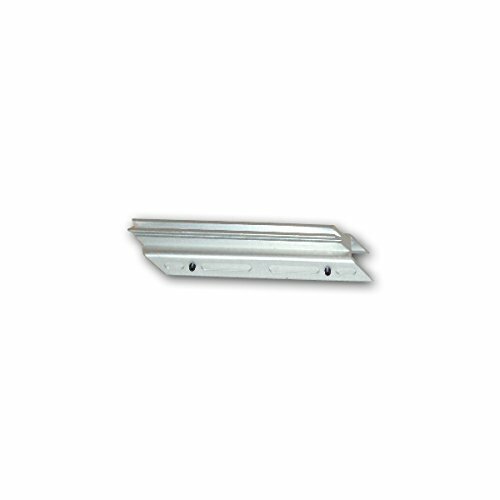 LAPCO Model 98 raised sight rail. RARE! LAPCO Model 98 raised sight rail. RARE! FREE S/H! LAPCO Model 98 off set sight rail. RARE! FREE S/H! Want more Model 98 Sight Rail similar ideas? Try to explore these searches: Gund Jungle, Percussion Hammer Drill Kit, and Nintendo Game Over T-shirt.